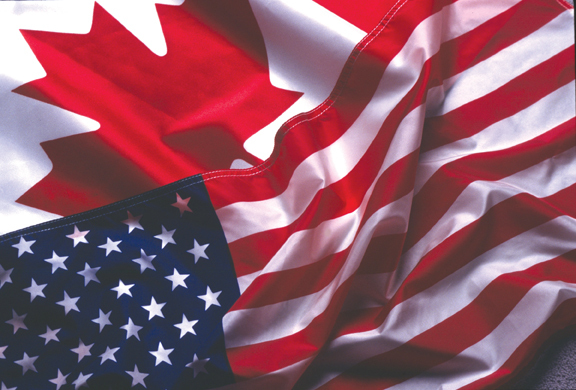 Of the many decisions handed down by the Supreme Courts of Canada and the US over the past few months, the ‘ObamaCare’ ruling has naturally taken centre stage. However, it has been a busy few months in general for both courts and a selection of key cases, including ObamaCare, are covered below. The Patient Protection and Affordable Care Act was signed by President Obama in March 2010. A total of 26 states, the National Federation of Independent Businesses and various individuals filed legal challenges to ACA. On 28 June 2012, the Court dismissed the Applicants’ appeal, and upheld the constitutionality of ACA by five votes to four, with Chief Justice John Roberts’ vote proving decisive. In upholding ACA, the Court rejected the argument put forward by the US government that the individual mandate to purchase health insurance was justifiable as a legitimate regulation of interstate commerce on the part of Congress. The power to regulate commerce does not include the power to create it, in this case by compelling individuals to invest in the insurance market, and the Court did not wish to expand Congress’ powers any further. The argument that the “necessary and proper” clause extended the authority of Congress under the Commerce Clause in order to justify the mandate was also rejected. However, the Court was willing to accept the argument that Congress could instead enforce the mandate under its power to tax and spend. This came as something of a surprise, having been rejected by nearly every judge in prior proceedings. Chief Justice Roberts observed the general principle that every act of Congress should be read in such a way as to be constitutional if it is possible to do so. In this case, the mandate was interpreted as saying that individuals who fail to purchase health insurance must pay a tax. In upholding the mandate in accordance with this power, failure to purchase health insurance is not made illegal but merely imposes a tax upon those who fail to do so. In addition to deciding upon the individual mandate, the Court also considered the potential expansion of Medicaid. They ruled to limit that provision, but it was not struck out entirely. It was held that Congress could not penalise individual states that choose not to participate in any new program, by taking away any existing funding, thus making the expansion optional. For further UKSC Blog coverage of this decision, the media interest surrounding it and how it illustrates the differences between the US and UK Supreme Courts, see here, here and here respectively. Section 6: which allows state law enforcement officials to arrest without a warrant any individual who is otherwise lawfully in the country, if they have probable cause to believe that the individual has committed a deportable offence. The Court did not however uphold the injunction of Section 2B, which holds states that local police may check the immigration status of any person stopped or detained if they have a “reasonable suspicion” that that person is undocumented. The Court did not uphold the section because it has yet to take effect, and it is therefore too early to establish whether the state will interpret it in a way that will conflict with federal law. The Stolen Valor Act was enacted in 2006, its purpose being to make falsely claiming to have received a military decoration or medal a “misdemeanour” under the Act and punishable by up to a year’s imprisonment. Xavier Alvarez was initially found guilt of violating provisions 18 U.S.C/ §§ 704(b) and (c)(1) of the Act, for stating in a board meeting of the Three Valleys Water District in California: “I’m a retired marine of 25 years. I retired in the year 2001. Back in 1987, I was awarded the Congressional Medal of Honor. I got wounded many times by the same guy. I’m still around“. Alvarez’s conviction was reversed by the Ninth Circuit, who found that the Act violates the First Amendment by limiting freedom of speech. The United States then appealed the decision, and matter was brought before the Supreme Court. The Supreme Court found by six votes to three that the Act’s prohibition against false statements regarding military decoration did violate the First Amendment. Opinion was divided further among the majority that found against the Act. Justice Anthony Kennedy, writing on behalf of himself, Chief Justice Roberts, Justice Ginsberg and Justice Sotomayor, said that false statements were not excluded from being covered by the First Amendment merely on the grounds of being false. The statement made by Alvarez did not harm others, and therefore it had to be proven under “strict scrutiny” that the Act was necessary in order to serve a compelling governmental interest, which it failed to do in the majority opinion of the Court. Justice Stephen Breyer and Justice Kagan did not accord with the concept of the “strict scrutiny” test. Instead, they found that the Act was not constitutional because it harmed the First Amendment, and because the Government could achieve the objectives it was striving for through the Act in “less restrictive ways”. See here for further UKSC Blog coverage of this case. In a series of five decisions passed down on 12 July 2012, the Supreme Court of Canada added further definition to the concept of “fair dealing” under the Canadian Copyright Act, as well as making landmark decisions regarding fees for downloading music files online. In Alberta (Education) v Canadian Copyright Licensing Agency, the Court found that the making of photocopies of textbooks and printed materials by teachers for use in the classroom, which was beforehand determined as falling outside the concept of “fair dealing” under copyright law, was in fact covered by the definition. Following this decision,Canada’s Copyright Board was asked to review its previous decision that found in favour of a body that collects royalties for authors and publishers, which has resulted in schools paying significant sums in licensing costs. In Society of Composers, Authors and Music Publishers of Canada v Bell Canada, it was held that the concept of fair dealing covers previews of songs that individuals might listen to before going on to download digital music. In Rogers Communications Inc. v. Society of Composers, Authors and Music Publishers of Canada, it was held that online music stores do not have to pay royalties for the previews of songs that individuals download prior to purchase, as that act is considered to be “research”, and therefore does not infringe the Canadian Copyright Act. In Entertainment Software Association v Society of Composers, Authors and Music Publishers of Canada, the Court held that online digital services should not have to pay royalties for music used in films and video games that are downloaded over the Internet. This overturned the earlier ruling from the Copyright Board. The ruling was made on the basis that music that is downloaded is a private rather than a public transmission. However, a distinction was noted between music that is downloaded, and music that is streamed online; the latter was held to be a public transmission, and the artists owning the music in question therefore entitled to compensation. In Re: Sound v Motion Picture Theatre Associations of Canada, it was held that online music services should not have to pay royalties to publishers and composers for music in movie and TV soundtracks, on the basis that they are considered to be different to traditional sound recordings. 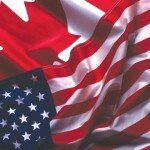 Leave a reply on "Supreme Courts Around the World: The United States and Canada, April – June 2012"